A day out to an amusement park, indoor playground or a day trip with kids to the famous Keukenhof flower park. You have an extensive choice. All theme parks are easy to access from the Bollenstreek. 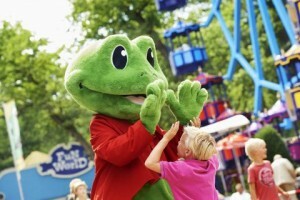 Attractiepark Duinrell has 40 attractions for young and old. Combine your visit with the pool Tikibad and complete your day.